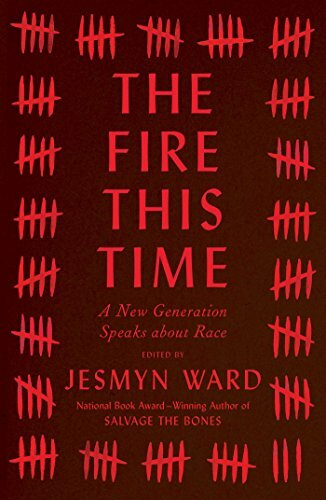 The Fire This Time: A New Generation Speaks About Race by Jesmyn Ward, Ed. I read The Fire This Time with great urgency. The murders this week of two more innocent black men at the hands of cops, followed by the sniper attacks on Dallas police officers, are a kind of nightmarish call and response that demand reflection and action. It's hard to know what to do when the problems in our country seem so huge and insurmountable. I want so badly not to be part of the problem. I want to quit agonizing over my privilege and do something that matters. But what can one person do to dismantle such an enormous, seemingly immortal machine of systemic racism and oppression? Obviously, I don't have the answer, if there even is one. But one thing I keep coming back to is art. Most of my greatest insights on difficult subjects have come from music, poetry, essays. In the wake of each new tragedy, artists create. Their creations dredge beauty from destruction. Their generative force counters evil and death not by forging against it but by taking root in and growing out of it. How is that even possible? I don't know how, but I know that it is so. So, I read. I listen. I try to understand. I try to imagine what life is for other people. Books like The Fire This Time help me do those things. It's especially effective because it's an anthology, a collection of many voices. I learned a lot from it, and it made me hungry to learn more. If you only read one book this year, it should be this one. With regards to Scribner and NetGalley for the advance copy. On sale August 2. Mark your calendar now. Put in your library request. Hit the pre-order button. Do whatever you have to do, just read this book.